Lemon Market Report - Ultra International B.V.Ultra International B.V. Here we are again at the start of the new lemon season in Europe and with it anticipation grows as to what sort of crop lies ahead. However, what happens in Europe doesn’t necessarily impact directly on what price we pay for our fruit, juice and oil. 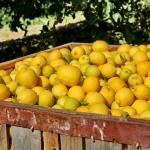 The fresh lemon market is now a global one, with more fresh fruit transported around the world than ever before and with a GLOBAL RISE IN LEMON CONSUMPTION we need to factor in all producing areas and consumer markets to anticipate what will happen to our precious oil – after all, the oil is still a bi-product even if it’s the most important part for our market. Are we set for another crazy year? World lemon demand is on the rise due to many factors including its perceived health benefits. Lemons are rich in vitamins A, B6, C and E, calcium, iron, potassium and zinc to name but a few and with this it provides many therapeutic and pharmaceutical solutions to today’s everyday medical conditions. It’s also high in antioxidants due to its composition of flavonoids. Of course, lemon is also a favourite global flavouring ingredient due to its distinct sour taste, a result of the presence of 5-6% citric acid. Also the demand for natural beverages and flavourings is growing. From early OCTOBER THE HARVESTING AROUND THE MEDITERRANEAN STARTS with Turkey initially, followed by Italy and Spain (varying seasonally with local weather conditions). 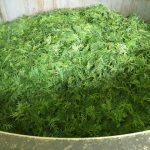 Elsewhere harvesting in the USA (California & Arizona) will have started which will be followed later by Argentina and other smaller producing Central and South American countries. In different countries production will run until April 2016, the exception being China, which can usually rely on year round harvests. 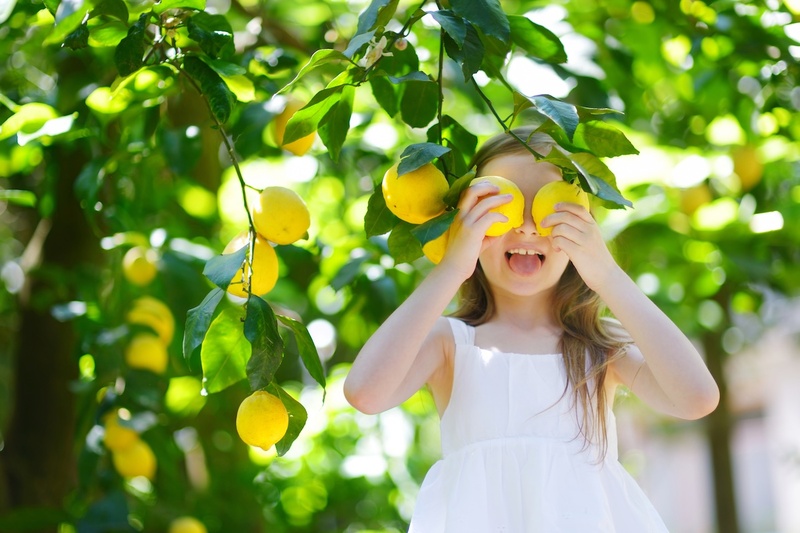 We hear that in both China and USA, domestic demand is growing and outstripping supply, which has resulted in both countries IMPORTING MORE EU LEMONS. This along with domestic EU demand growth and the struggling crops in some smaller producing countries means that fresh fruit prices in Europe have increased. We also hear that production growth in Spain coupled with a recovery in Argentina have increased the global supply position which in isolation could mean reducing prices for fruits and ultimately oil. So let’s break down what we know to try and better understand what we can expect next. Last year’s Italian fresh lemon production was DOWN 2% on the previous year, with imports from Spain (55%) and Argentina (21%) increasing to support the domestic demand. Italy’s processing capacities were hit hard last year with 16% LESS LEMONS PROCESSED than the previous year. While it is still too early to form a clear picture it appears most Italian producers are expecting similar numbers to last year, but in some cases, maybe less. 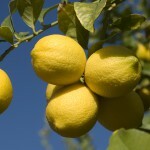 Depending on the producer, the growing region and the type of lemon some crops will be reduced as a result of the hot weather experienced during June and July. The season has started however there are some CAUSES FOR CONCERN after larger areas of plantations were assessed. 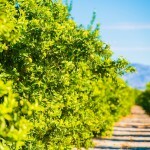 Droughts conditions are being experienced due to unusually low rainfalls and above average summer temperatures, which negatively effected the fruit sizes. As a result, early forecasts are suggesting a 20-25% REDUCTION IN PRODUCTION and although it is too early to estimate as to whether this will impact on the 60,000 MT desired for processing, it is safe to say it’s most likely. This will impact on the volume of oil produced and may in turn increase prices. Let’s start with some good news which is in 2014/15 Spain’s fresh LEMON PRODUCTION INCREASED 30% reaching 1,065 thousand MT, record levels both in production and exports. This increase has been attributed to good crop management (irrigation, fertilisation, treatments etc.) and favourable favourable weather conditions during the flowering and fruit setting periods. So as we turn our attention to this season what are the prospects? Well that’s were the good news ends as prices of fresh fruit prices have doubled in recent weeks. How this impacts on the amount of lemons processed, the relative input costs and the market demand for Spanish lemon oil is yet to be seen. A number of producers have some carryover stocks from earlier this year but these volumes are not significant and there’s little to suggest that prices for any fresh oil production will decrease. As per usual trends the volume of lemons in the market come January are significantly less and depending on external pressures from other producing countries we could see New Year oil prices rise and supplies tighten.